A bit of a rant. - Polish Etc. Some of you may have noticed a new badge on the left sidebar of my page employing "No Hate in the Nail Polish Blogger Community." While the abbreviation 'h8' is not quite my style and I usually try to stay out of drama, I found such strong desire to share this icon on my blog that I had to write this post. The image originates from a new blog/movement called Eradicate Hate in the Nail Blogger Community which shares one simple message, end cyberbullying in the blogging community. To those of you who think this post is in response to a particular bit of drama going on in the polish community, you're only about 5% right. My support in this image in this is not due to me wanting to take a side in this or any particular disagreement. This issue is about bullying, and that goes out to anyone who has posted a rude comment or blog post attacking another person or group of people. Bullying someone for being a bully is still bullying. Am I just as guilty of disagreeing with people and thinking things that are rude and insulting? Yes. But I try to take a moment to step back and consider what I am actually saying. I end up keeping my rude thoughts to myself. There is something to be said about civil discussion, it can help create grand ideas and facilitate progress. However, considering the fact that many of our American politicians can't have a polite debate, staying civil is always the challenge. If what you have to say really does add to the conversation, find a way to say it neutrally. Try to encourage someone to think about things your way before insulting their way of thinking. Forgive others for things they can't change. Maybe their nails are short and ugly because they spent their childhood biting them after their parent's stressful divorce. Maybe they can't afford a decent camera because that same money pays the rent. Maybe they have a physical or mental disability and that really is the best they can do. I remember my parents and grandparents always teaching me idioms: think before I speak, respect the golden rule, if you can't say anything nice don't say anything at all. I urge you to think before you post. Now you might be wondering why I care enough about this issue to write a long, wordy, boring rant post. I've never experienced any sort of cyberbullying while blogging. My experience in the nail polish blogging world has been nothing short of spectacular. I've met some wonderful ladies, made some new friends, and enjoyed every moment of it. My readers have made me smile and kept me sane in my little life. When I started blogging I didn't know much. My pictures were blurry, my nails were stubby, and my cuticles a mess. Through interaction with this community I transformed my nails into something I'm now proud of and learned how to take blog-worthy photographs. I learned all of these things through this encouraging community alongside women who strangely believed in me enough to follow this insignificant blog. I want every new blogger to feel that welcoming, encouraging community. 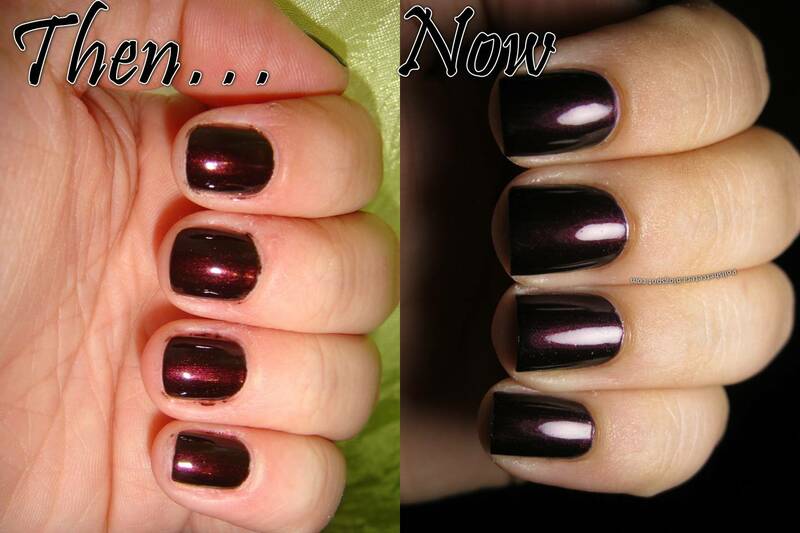 I want everyone who wants to share their nail polish addiction passion to learn and grow from the experience. Mostly, I want anyone who like me, started a blog to try to connect with this world in the face of looming depression, to make new friends and laugh every day like I now do. I'm thankful to those who helped me to become a better blogger rather than looking at my first pictures, insulting me and my nails and moving on. Never underestimate what an impact your words can make, whether negative or positive. Lastly, thank you for being wonderful readers (particularly for anyone who actually reads this far), I hope you start seeing more of this image and overall positive attitude around the blogosphere!